Everyone knows that the process of ageing is apparent externally, for example in wrinkles, thin skin and age lines; inevitably, it also affects us internally, leaving the body in a progressively fragile state. But what can we do to slow down this process? 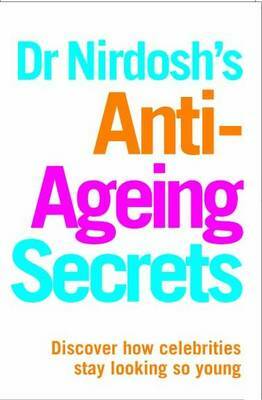 In this ground-breaking book, Dr Nirdosh shows that ageing can be controlled and even reversed using her unique face and body programme, which surges anti-ageing hormones back into you and puts an out-of-control body back in control of itself. As part of her unique regime, Dr Nirdosh has devised specialist yet simple ways of controlling the ageing process, including easy exercise techniques, a simple-to-follow diet, advice on which supplements to take and effective skin treatments. Each element of the programme stimulates the production of anti-ageing hormones and boosts skin cell immunity. This dual effect slows he ageing process, recaptures youth in the inside and out which will give you the ultimate non-surgical face and body lift!